Exporter of a wide range of products which include vermiculite ceramic cloth. Leveraging on our industrial experience, we are able to manufacture, supply and export Ceramic Fiber Cloth with Vermiculite Coating. 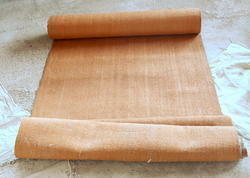 Looking for Vermiculite Ceramic Cloth ?